The Geneva WorldRadio is a contemporary take on the classic world receiver: a radio that could receive all available radio stations of their time, using broadcasting technologies such as FM, longwave, and shortwave. Today, popular local radio stations are mainly broadcast over FM and digital radio, while international and special interest stations are broadcast over the Internet. The new Geneva WorldRadio provides complete access to today’s radio stations, as the classic world receiver did for previous generations. 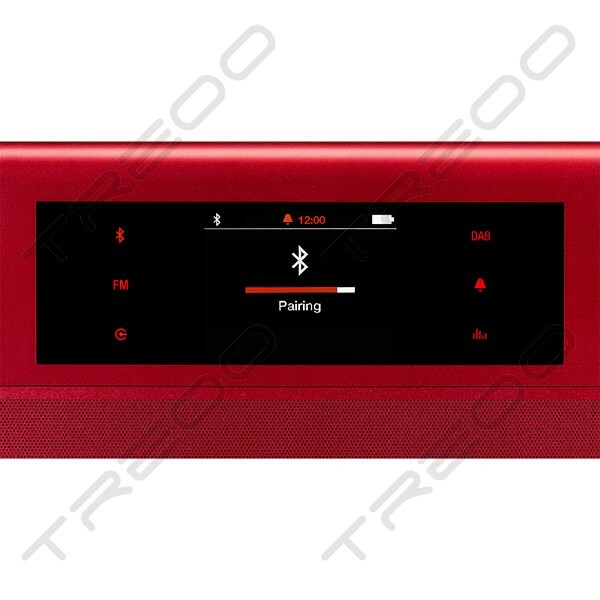 Connect the Geneva WorldRadio using the built-in wireless Bluetooth receiver with an Internet-capable device, such as a smartphone or tablet, and you can stream all available Internet stations. 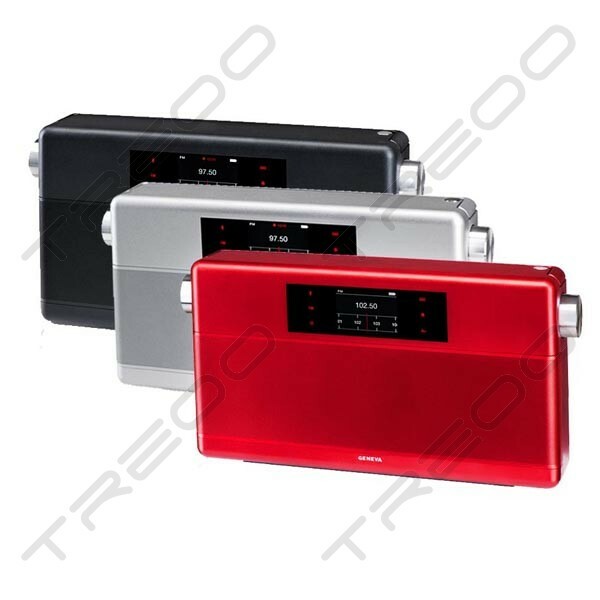 The Geneva WorldRadio features a high-performance audio system that plays mid and high frequencies with absolute accuracy, and produces warm, rich bass below 80Hz. 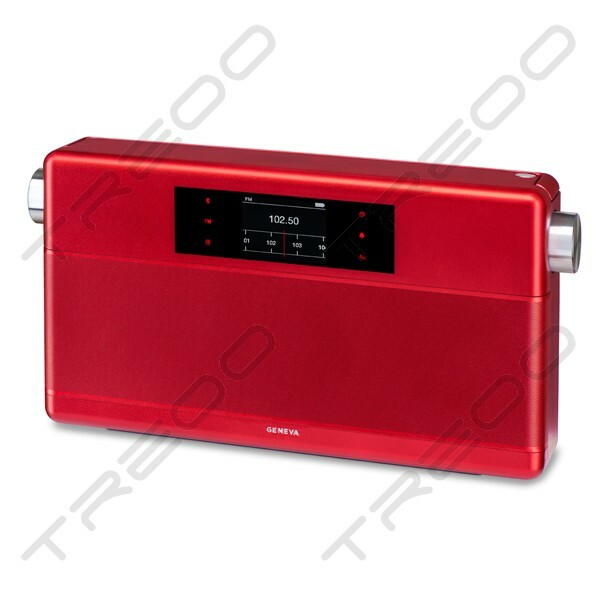 It has a digital color display with touch controls, digital FM tuner, Bluetooth receiver, and alarm clock. Other audio sources can be connected via the 3.5 mm line input. 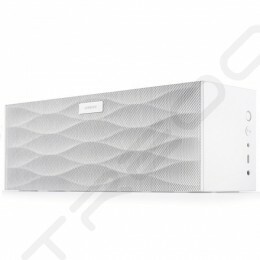 The rechargeable Lithium Polymer battery provides more than 5 hours of music playback. 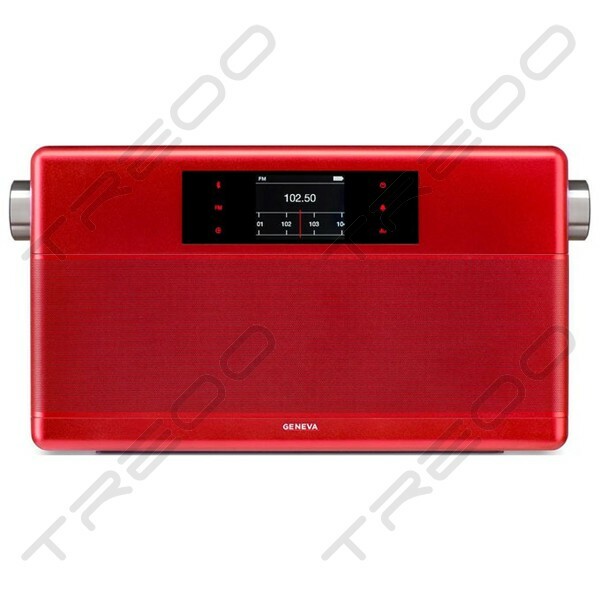 The Geneva WorldRadio is available in black, red, and silver metallic colors. Tune in to the world, with the new Geneva WorldRadio.